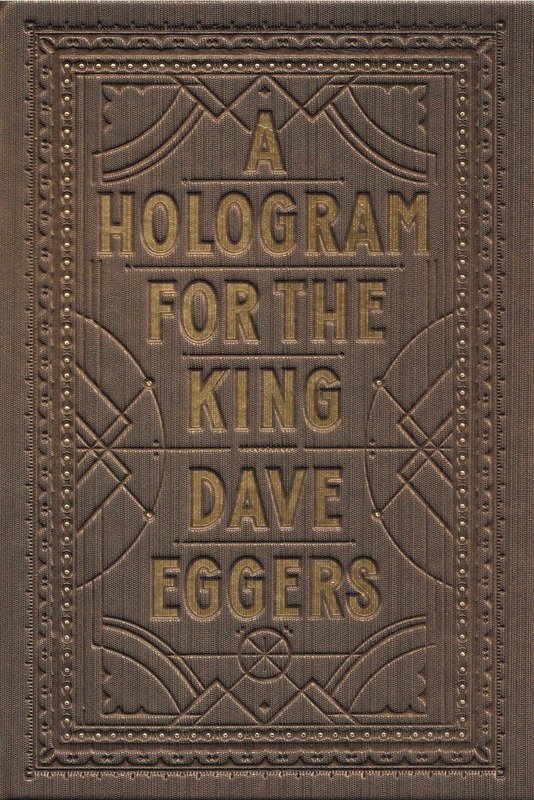 I finished reading A Hologram for the King recently and am in awe of its restraint. It’s a slim little volume with, really, a slim little plot: An American businessman named Alan goes to Saudi Arabia with a team of young underlings to present their company’s IT services to the king in hopes of winning the contract for a newfangled housing development going up in the middle of the desert. No, really, that’s not just the starting point — it’s basically all that happens. They wait and wait for the king to show up — it takes weeks — so that they can present their fancy proposal, complete with holographic image. The end. Of course, Eggers loads up the waiting with personal stakes as well as political implications and atmospherics. Alan must land this account so that he can pay off his massive debts and have any hope of sending his daughter to college. He’s constantly writing letters he’ll never send to that daughter, apologizing, explaining, and lecturing in ways he doesn’t have the guts to follow through with. He fights extreme jet lag, deadly heat, a worrisome lump on his neck, a lonely woman, local customs, and a hilariously opaque administrative system at the development. He does this all with a Hemingwayesque spare style and no-nonsense narration that makes you believe this all had to have happened. As the wait for the king drags on, the story takes on the suspense of a thriller. My God, when will the damn king get here? Must … keep … reading. I won’t tell you if the damn king does ever get there — instead, I’ll just tell you to read this book.